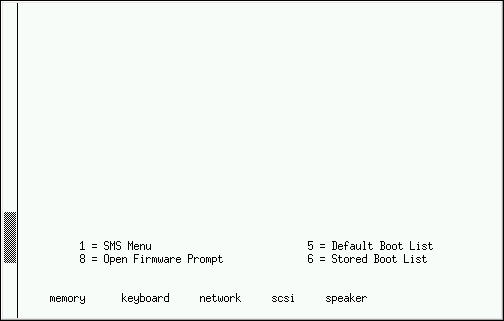 To boot an IBM Power Systems server from a DVD, you must specify the install boot device in the System Management Services (SMS) menu. Finally, select the device containing the installation DVD. The boot menu will now load. Because IBM Power Systems servers primarily use text consoles, Anaconda will not automatically start a graphical installation. However, the graphical installation program offers more features and customization and is recommended if your system has a graphical display. To start a graphical installation, pass the inst.vnc boot option (see Enabling Remote Access). 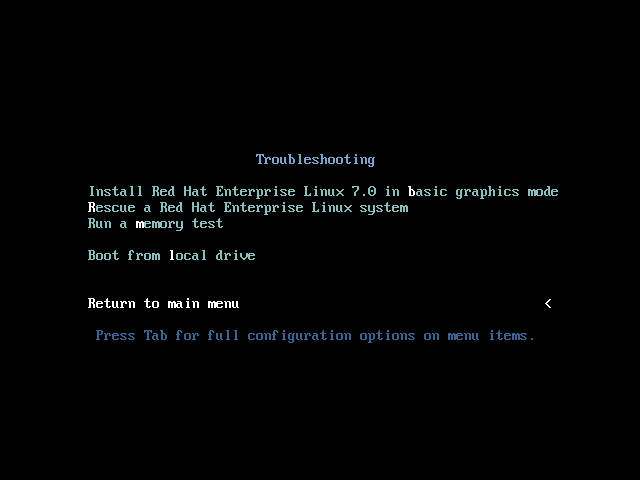 To customize the boot options for a particular menu entry, press the e key and add custom boot options to the command line. When ready press Ctrl+X to boot the modified option.